Doom metal, at its core, is not supposed to be friendly and inviting. It is meant to be ugly and dark, potentially scary, and with bad intentions. That’s why, when done right, even at its most melodic, it feels like a dark omen and bad things waiting to happen. 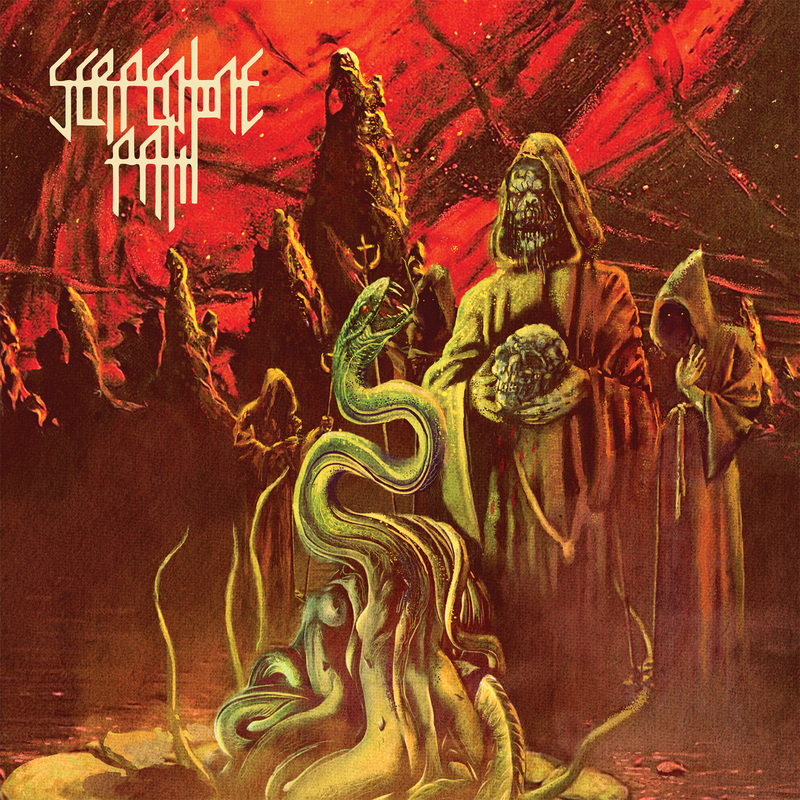 One band that totally gets that right on their second album is metal superforce Serpentine Path, made up members of the befallen Unearthly Trance and the mighty Electric Wizard. Those two bands right there had their own ways of bringing out darkness and fury, and each differentiated enough from each other that they had their own followings, but certainly a meeting in the middle for much of their respective audiences. On their self-titled 2012 debut record, they proved they could pull their forces together and make for a great band that could combine the sum of its parts and come out sounding dangerous and like a monster born anew. 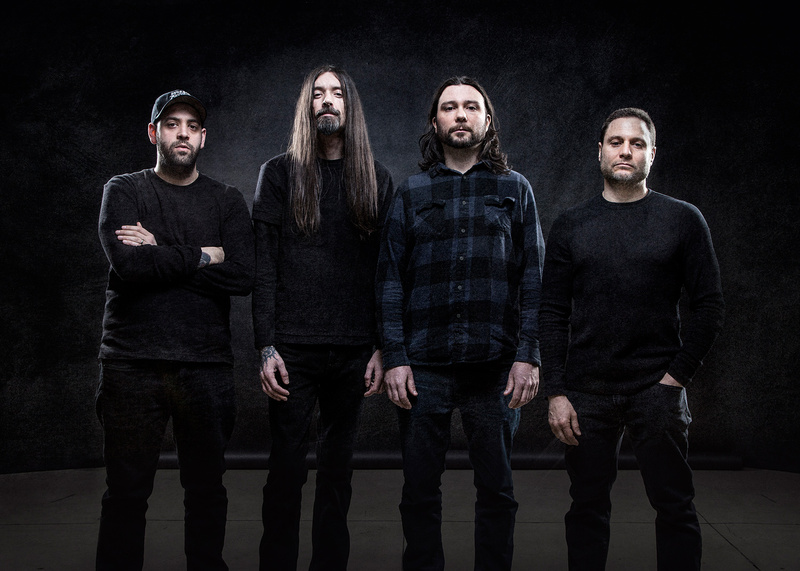 They accomplish a similar feat on their new record “Emanations,” a seven-track, 45-minute skull basher that isn’t trying to win any style points and doesn’t care to wow you with theatrics. Instead, this is plug-in, forge-forward, maintain-the-course doom that sludges and pounds relentlessly. There are few tempo switches, not many fireworks, and no room for dazzling playing, so what you get is a workmanlike effort that’s giving you exactly what you deserve, in a serving size big enough to leave you full and swollen. What more can you ask for? The band is just about the same lineup as who killed you on their debut, with a member added for good measure. Ryan Lipynsky (currently also with The Howling Wind and ex-Unearthly Trance, ex-Thralldom) on vocals, Tim Bagshaw (ex-Electric Wizard) and Steve Flam (who came on after the debut and is of doom stalwarts Winter) on guitars, Jay Newman (also ex-Unearthly Trance and ex-Thralldom) on bass, and Darren Verni (ex-Unearthly Trance) on drums. The record opens with “Essence of Heresy,” the shortest track of the bunch at 3:47 and as good an introduction to this feast as possible. Lipynsky’s growls are gruff and instantly recognizable, and the band wails away with a steady attack with just a little melodic dressing over top. “House of Worship” is mucky and plodding, with strong guitar work and more monstrous growls to hammer home the message. “Treacherous Waves” is a 7:45-long pounder, opening with spacey, atmospheric noise that eventually gets overwhelmed by a slow-driving doom assault that feels like a volcano slowly overflowing. The vocals take on a scary pitch, and the bulk of this piece simmers in place, letting smoke rise up. “Claws” runs 7:30 and is built on sinister riffs, guitar lines swirling, and mesmerizing melodies that could dizzy you. The final moments of the song bring the whole thing to a blazing finish, with metallic chaos rising up and the vocals evoking savagery. “Disfigured Colossus” is as punishing and crushing as the earthquake that destroyed the Colossus statue in 226 B.C., as the track pounds and rumbles hard, mauling your insides and continuing to slam away at you until you think you can’t take anymore. It’s wholly devastating. “Systematic Extinction” pulls you through 7:14 of horror, with huge roars, slow-cooking drubbing, and some mournful tones to the guitar work as if they’re channeling the darkest of Black Sabbath. The final moments have the guitars bubbling up again and threatening overflow before noise takes over and leads right into the 8:24-long closer “Torment,” that easily lives up to its name. “No chance to survive,” Lipynsky howls over corrosive guitar work and a pace that stays pretty much the same as it lays in the bruising. The band chugs hard over the length of the cut, with everything taking on a thornier tone, only to drown in relentless feedback and eventually dissolve. Serpentine Path’s mission remains true on “Emanations,” and it’s a solid blast of calculated, drubbing doom that explores the darkness and brings you along for the ride. It’s an album suited for solitary listening, preferably by headphones, where you can absorb the music and the words, and not be distracted by outside forces. There are bands out there with more flash, but few with the drive, bloodthirst, and determination of Serpentine Path.